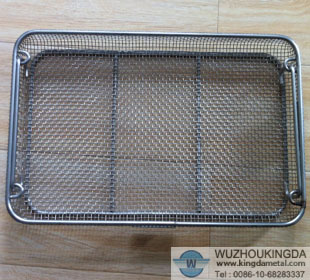 Which kind of sterilization basket is better? At present, in the applications of sterilization basket, cleaning baskets, we can divide into plastic and 304 stainless steel. Personally think when cleaning and disinfection, it may come across high temperature, as to the plastic products, we know not too much as the stainless steel one, after all our main products are stainless steel products. When we had the sterilization, we usually use the stainless steel basket.